The van is in great condition for the year, with the usual age related marks but you would have to really concentrate to spot them. I still use the van on occasion so the miles might creep up slightly. Weekend away??. Since last MOT only 3000 local miles. 20in Matt black tyres. Spot lights. 5 speed gearbox. power steering, side load door, swivel front seats, zig charging unit, hot and cold water, 4 burner hob, grill, 3 way fridge freezer, blown air central heating, Freeview tv DVD, DAB Sony radio,1000w sinewave inverter Status Ariel. Spec of the camper The camper would be ideal for race weekends as it has the under bed garage and big awning and plenty of room for a bike and all the kit to go with in the back. I have owned the camper for 5 months the plan was to live in it for a year or so to save for a deposit for a house. 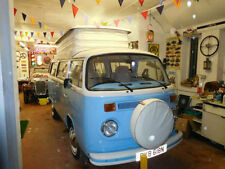 for sale my beloved camper van. 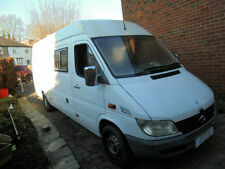 only selling because im upgrading to a motor home .insured as a box van conversion. 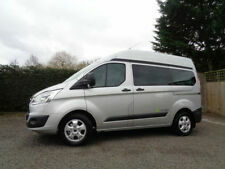 will come with a full MOT great van good on fuel. 2 Berth Mercedes Vito LWB Camper Van, 12 months Mot, Fridge, Smeg Gas Two Hob Cooker & Sink, Rock and Roll Bed two seat belts, 2 Electrical sockets, 240v hook up, LED Ceiling lights. 12 volt Leisure Battery, Roof Ventilation, Rear Reversing Camera, on board water tank, plenty of storage and Removable Dining Table. 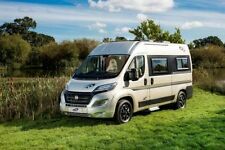 Professionally converted by camperversions . Collection only call Dave on 07407 404617 for more information. SOLD Double bed folds down from sofa. Light and airy lots of cupboards and storage throughout. Main cabin has rotating cabin seat as well as sofa with plenty of light and lighting. Tv amp and positionable ariel. Stainless Franke sink with hot and cold running water. On board shower. 120,000 miles. The only advisories on the last MOT were the rear tyres and these have since been replaced. Located near Grantham or Boston, Lincolnshire. Scottish Caravan Storage is an East Lothian Council Certified Trader. SCOTTISH CARAVAN STORAGE. Huge spec. Part leather upholstery. Very rare, may be the only on available in the UK. High grade Japanese Imports. All built from light weight popular ply fully fitted kitchen hand built with loads of storage gas hob full size fridge 12 volt led lights under vehicle LPG 24 litre tank. All in all a high quality built van. 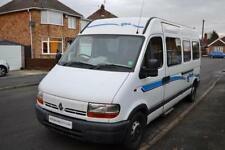 Pilote Le Voyageur, 2 berth, French Island Bed motorhome for sale. 2003 vito camper cdi drives perfectly just been serviced fully lined and insulated conversion cost £4200 extra deep rock and roll bed with matching front seats paintwork has usual rust spots and needs tidying and needs new lino or carpet on rear floor this would be ideal for weekends away fishing, festivals etc.